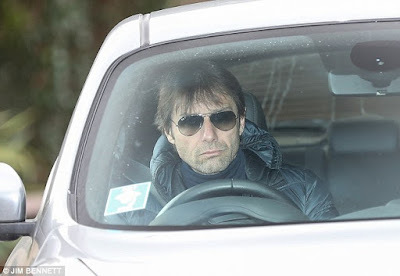 Chelsea boss Antonio Conte appeared unhappy as he left the club's Cobham training base on Thursday, with his future at Stamford Bridge at risk. Sportsmail revealed there is major dressing-room unrest at Chelsea but the Italian has insisted he would not be forced out of his job. Conte has privately acknowledged he will not be Chelsea manager next season but he is refusing to walk away, preferring for owner Roman Abramovich to decide his fate. Some players, however, find Conte’s training regime repetitive and monotonous. Similarly, some have blamed the tension at the club’s Cobham HQ on Conte’s ‘bad moods’. Although Conte was present at Cobham on Thursday, the first-team squad do not regroup until Friday following the manager's decision to give the squad three days off. 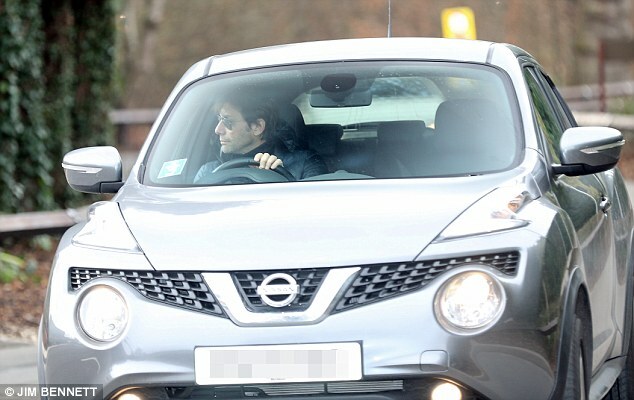 The Blues coach, who has 18 months left to run on his £9million-a-year contract, was a picture of apprehension when he left the training complex. How long Conte remains in charge is likely to depend on whether own Roman Abramovich can appoint the man he wants to replace Conte. Former Barcelona manager Luis Enrique remains Chelsea's first choice to be Conte's permanent replacement, but it looks increasingly unlikely the Spaniard will take the reins before next season. Enrique is currently on a year-long sabbatical after winning nine trophies in three seasons at the Nou Camp and he is reluctant to to cut that break short. Chelsea — who lost their last Premier League game 4-1 to Watford — don’t play again until Monday night when they welcome West Brom and will be seeking their first win in seven games.